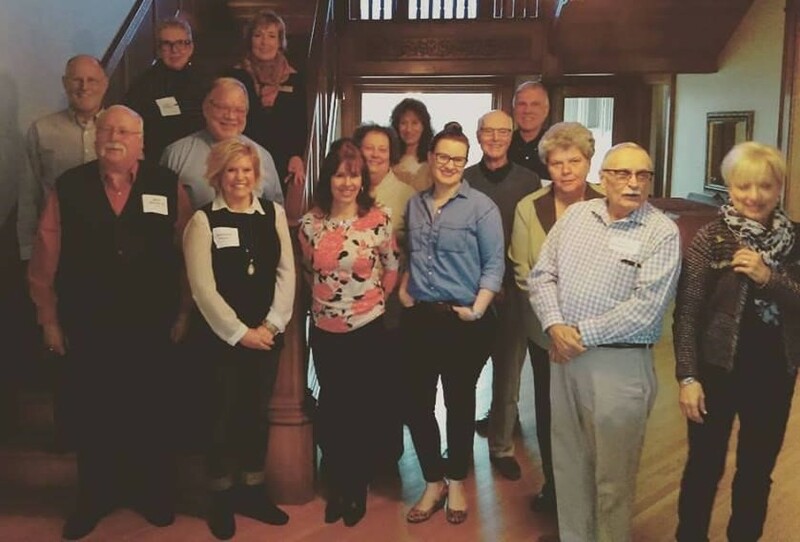 Last week, I wrote of our “re-meeting” with my Praser family—my paternal side—in Chicago. After immigrating in 1920, my grandparents, Marie (Supenova) and Edward Pracser, welcomed Marie’s brother in 1923. Stefan “Steve” Supena was the third child, and only son, of Stefan and Maria (Fuscikova) Supena. At the age of 16 and on his own, Steve emigrated from Slovakia to Chicago. In 1925, he met and married Elizabeth “Bessie” Trampota. Their son, Ronald, was born in 1933. Ron married Nancy Novy in 1956, and they had five children. Several years ago, I found Sheri, the wife of one of Ron and Nancy’s sons, on FaceBook. Sheri has been the conduit to my Supena family. Sheri put me in contact with her sister-in-law, Mary, who emailed me additional information on her family. It turns out that they lived within a half-hour drive of where I grew up—but I don’t remember ever meeting them. Mary’s family was surprised to learn that Steve’s first cousins still live in Slovakia—but not as surprised as my Slovak family was to learn about Steve. Family lore in Slovakia was that “Steve went to the United States and was never heard from again.” This all changed when my Slovak family gave me a photograph of Ron from his eighth grade graduation. Obviously, someone in Slovakia knew that Steve was alive, well, and married with a son. But that was 70 years ago!! This year, I tasked myself with the job of being the link between east and west, Slovakia and the U.S., the Supenas, Hrnčiříks, and Prasers. And thanks to Sheri, we began the “linking” in March while on our trip to Chicago. 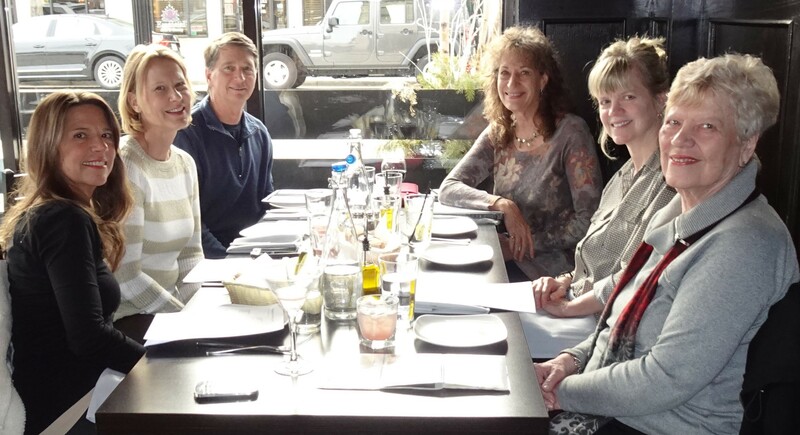 Sheri arranged for dinner at their favorite local Italian restaurant in Elmhurst where they are regulars—Pazzi di Pizza. She must have known that Tom and I were looking forward to pizza in Chicago! The food was great, but as always, the best part was meeting new family. I will try again to introduce the Supena women that Tom and I met. And yes, he was the only male with five women—and he did just fine. Sheri married into the Supena family. But like I’ve said, she was the conduit that brought us all together. She is so much a part of this family, it seemed like they were all sisters. Her husband, Paul, sells building supplies, so we could commiserate about the last down-turn in the economy and how it affected the building industry—and the catalyst that sent me to genealogy. Sheri and Paul are also huge Chicago sports fans. YAY! Sheri is very involved in the Alzheimer’s Association, but her paying job is as an actor! She may just be an extra in television shows and movies filmed in Chicago, but someday . . . . And then the surprise came. The restaurant staff brought out a birthday cake?!? A total surprise for her sister-in-law, Ann—and me! Ann’s birthday is four days before mine. How thoughtful was that!?! Sherri’s two sisters-in-law were also at dinner. Ann, of course. Yes, we almost share a birthday, but she is the youngest of her five siblings and nine years younger than me. But she was delightful. Having just returned from a trip to Florida, she accepted everyone’s teasing about returning to frigid Chicago weather with a tan. Her sister, Mary, has shared a lot of information with me about their Supena family. She wrote two articles for the Medijugorje Magazine, both of which talk about her father. Because of her emails, I was able to piece together and fill in a considerable amount of information about my grandmother’s brother, Steve, and her father, Ron. Needless to say, I can’t wait to see this family again, and hopefully meet Mary and Ann’s brothers. They will all definitely be invited to our future Pracser-Supena reunion! 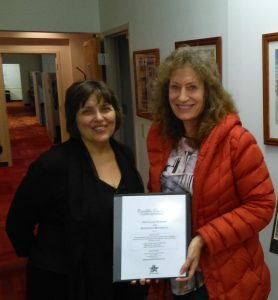 In less than two months, I will be collaborating with several people who share an interest and expertise in Franklin County, Pennsylvania genealogy. We are joining forces to put together the first Franklin County Genealogy Workshop (and Retreat). We’ve added “Retreat” because of the beautiful home-base for this workshop – the amazing Mercersburg Inn in Mercersburg, Pennsylvania. 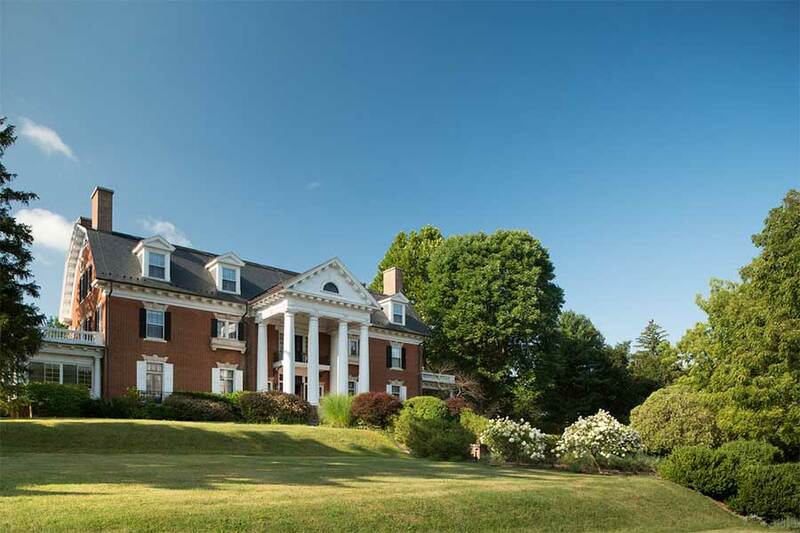 Jim and Lisa McCoy, owners of this magnificent bed and breakfast have given us special rates for this event and will serve up breakfast and dinner for two days! 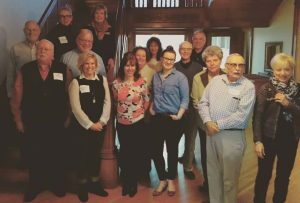 When was Franklin County formed? What if my ancestors were living in Franklin County before it was a County? Why did people move here and why did they leave? What original records are available and where are they? What are Orphans’ Court Records and why should I look for them? How do I find my ancestors’ cemeteries? What research options are available to me after I return home? Schedule individualized consultations with Pam Anderson on Wednesday, Thursday and Friday. Contact me at (717) 597-1345 or pam@AndersonCoGen.com if you have any questions. Finally, the good part . . . We arrived on a September Thursday morning and had the day to ourselves to explore Bratislava, the capital of Slovakia. Friday morning was a scheduled tour of the city, then a tour of Devin Castle, where Tom and I would meet Milan Hrnčiřík by the Iron Curtain Memorial at 1:00 pm, which is exactly where he was. I had no photographs of him, but I knew him the minute I saw him – and we hugged. Our first photograph together was taken while we were waiting for Peter, Milan’s son, to drive us to lunch. To recap – because I know this can get confusing – there were four Supena children born 1899-1909: Marie (my grandmother), Jolanka, Stefan and Helena. Marie and Stefan immigrated to the United States, but Jolanka and Helena stayed in Slovakia, and I would soon meet their children and grandchildren. 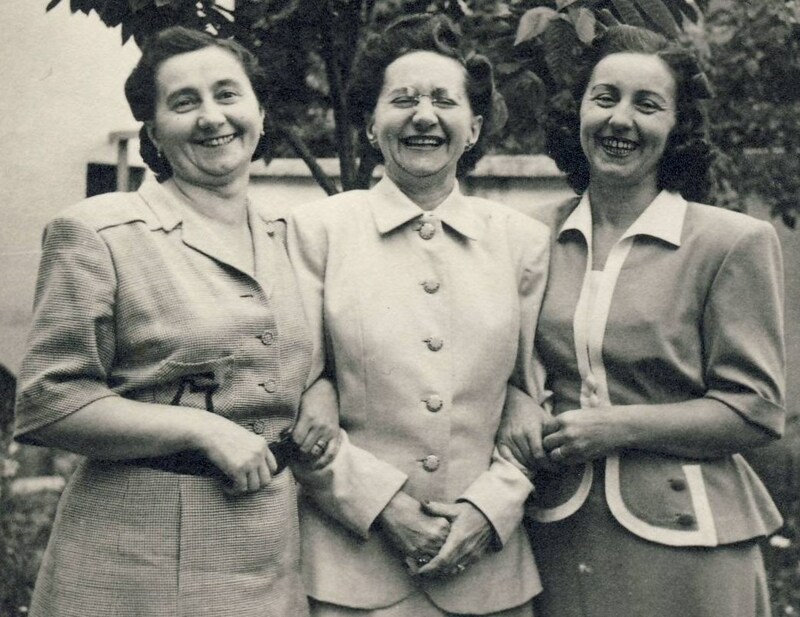 That Friday, I learned about the Hrnčiřík family – how Milan, his two brothers, and mother, survived World War II. His father was killed by the Nazis in the famous Slovak Uprising of 1944, and was never seen again. Milan is 87, with college degrees. He traveled the world, even coming to Chicago in the 1950s to visit my grandmother. Milan and his wife, Dorota, have two sons who run the restaurant at Devin Castle, and a daughter who was voted “ 2014 Most Loved Teacher in Slovakia.” Needless to say, he is very proud of his family. These three children are my counterparts – grandchildren of Helena (Supena) Hrnčiříková, my grandmother’s sister. After lunch, we drove to Milan’s home, former communist housing, which looks like a typical American two-story townhouse with a lush back yard and beautiful garden. We spent the afternoon with Dorota and Vlasta, his niece, talking and sharing photographs. Luckily, I discovered that most Slovaks speak English, especially the younger generation. The next day, we drove to Nitra, our family’s ancestral town. Our first stop was the cemetery where my great grandparents are buried – the place that I first found Milan as the contact for the family plot. What I didn’t know was that just three days before our arrival, Milan had their headstone exchanged for a “better one,” just because we were coming. There were also fresh flowers on the grave, placed by Gitka, Milan’s brother, Ivan’s widow – again, just because of us. I later found out that Milan was also in constant contact with our tour agency and checked out our hotels in Bratislava and Nitra. He wanted everything to be perfect. After the cemetery, we walked to the church where Milan’s parents (and possibly my grandparents) were married, then to the home where Milan lived with his mother and brothers after the war. 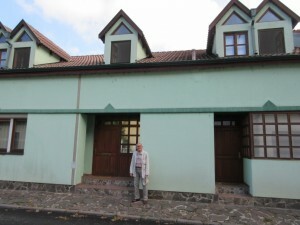 Gitka Hrnčiříková now lives there with her daughter, Jana. They welcomed me as if I was a long lost daughter. We were surprised to find that Dušan, Milan’s middle brother, also drove to Nitra to meet us. He had done research on our family and later emailed me a copy of his manuscript. 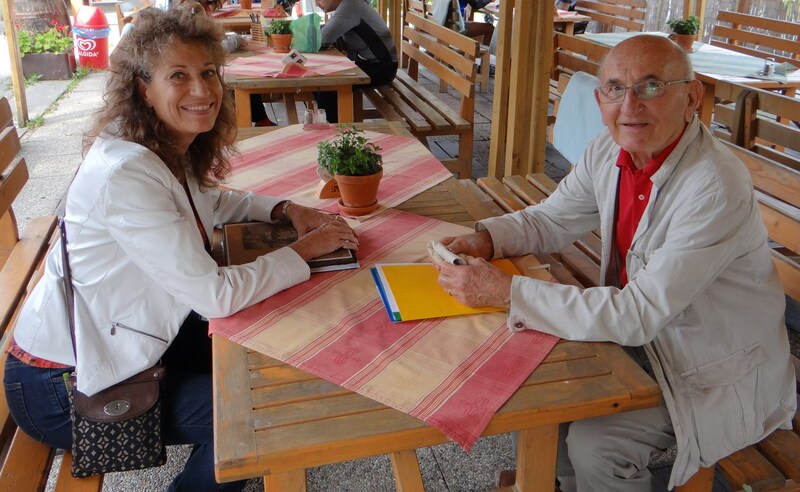 Dušan and his daughter, Vlasta – another granddaughter I met – are now my friends on Facebook! I had just met most of Helena Hrnčiříková’s children and grandchildren! On Sunday, Milan came to meet us to go to my grandmother’s childhood home. But there was another surprise. Staying at the hotel for her husband’s 60th birthday party, was another granddaughter – Gabriela (Kutalíková) Meravá, granddaughter of Jolanka. “Your grandma-ma’s must be working up there,” said Milan, pointing to the heavens, because this was definitely not a planned meeting! We then walked to the former Supena home and shop on Podzámska Street where the Supena sisters grew up, and the Town Palace where my great grandfather worked until he died in 1918 of the Spanish Flu. The whole time, we took the photos in some of the same places that I had pictures of my grandmother. On Monday, we said goodbye to Milan as we continued our trip to the High Tatra Mountains. But we met him four days later to have one final lunch – soup included, of course! He even came again at 7:00 am on Saturday morning to see us off. So what did I learn from our trip? First, “Supena” is not pronounced Soo-pee´-nə, as we always thought. It’s pronounced Shoo´-pay-nə. Second, my new relatives treated me as if they always knew me. My Slovak family was so welcoming that I couldn’t wait to share our adventure with my American one. Finally, I hope that everyone has the opportunity to find relatives that they don’t yet know – whether they are down the street or across the pond. Tom and I leave tomorrow for a reunion with our Slovak family. 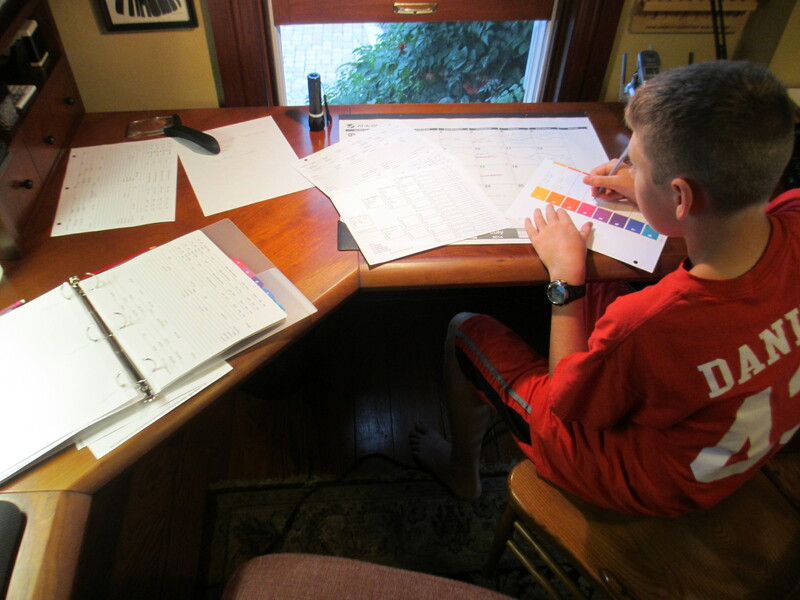 Two years ago, my 13 year-old nephew asked me if I was going to do his dad’s genealogy like I did his mom’s – my sister. I said sure, but he could do it. Little did I know that I created a monster, because Daniel loved the thrill of the hunt as well as the record analysis. While I was hoping to impress upon him the importance of citations and correlation of evidence, just having someone else in my family interested in genealogy was wonderful. I started him off with paper and pencil, so his first question – so appropriate for his generation – was, “Can’t this be done on the computer?” Why yes, yes it can, but sometimes it’s good to do both. His Christmas present that year was RootsMagic 7 software. However, with computer crashes, it’s been a little slow going for him, so I told him about Drop Box. Now we share information and I can help from three hours away. Pam: What got you interested in genealogy – besides me? Daniel: The fact that this history of our family is so unknown and you always have a little drive to find out the secrets of your family’s past. Pam: Has anyone else in your family done research on your dad’s Italian side? Daniel: No one has done much research into my family’s history. My grandmother did some, but she isn’t alive anymore. Pam: What is the most frustrating part? How do you deal with it? Daniel: Losing all your data – computer malfunctions! And thinking you have a lead and it turns out there’s no way it could be possible. You just keep pushing and don’t let it hinder your motive. Pam: What is the best part? What do you think would attract younger people to genealogy? Daniel: When you finally put a piece in the puzzle and it makes you satisfied to know that you’ve gone one step closer into your family’s history. You have to be a creative hands-on learner who always wants to do more. Pam: Do you have any friends who “get” genealogy? Should family history be taught in school? Daniel: It’s not a highly talked about subject. If it was taught in school, it would have to be an optional class – it’s not for everyone. It would teach people what to look for when looking through documents to find what was a match. History and genealogy could be tied together. Doing projects in history to find people in the past is like finding your own family. Pam: How do you keep track of your genealogy family? Pam: Where are you now in your research? Daniel: When my grandmother died, my family asked me who each family member was and how they were related. I’m working on being our family history expert. Pam: Any final thoughts that you’d like to share? Daniel: Binders are useful. Organization is the key. You can’t trust electronics – don’t rely on computers for everything. As you can see from our short chat, our two generations are closer than we think!